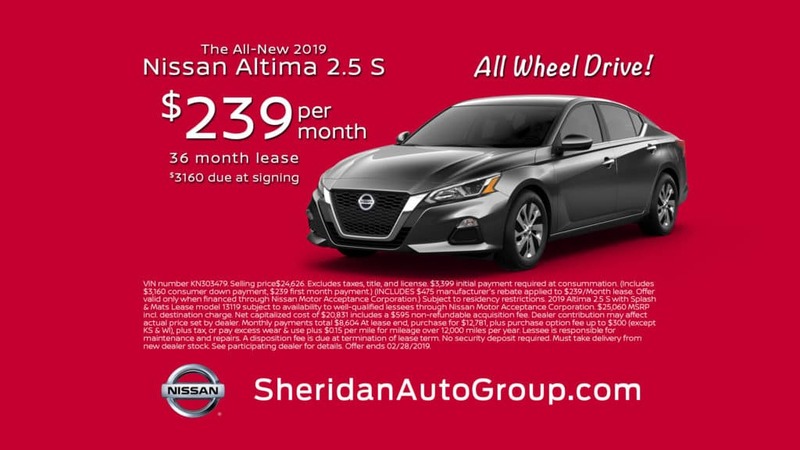 Visit Sheridan Nissan this February to save on a new 2019 Nissan Altima 2.5 S. The 2019 Altima 2.5 S features All-Wheel Drive, the first Nissan Sedan to feature this capability. Lease the new Altima for $239 per month for 36 months after $3,160 due at signing. This offer is valid through 2/28/2019. Go See Joe to take advantage of this deal!